This is the last of it. 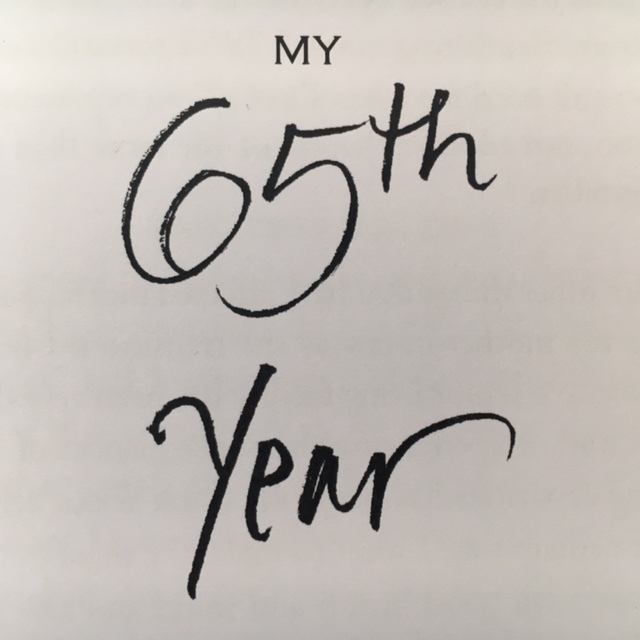 One more post about the year before I turned 65. Among other things, the writing has inspired to me to try to be more proactive about the career part of my work. I look forward to sharing some of the things I am trying in future posts and letting you know how they work. 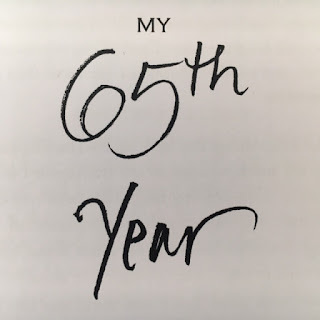 Before I do, I'd like to give you one more opportunity to read through my musings on that year in pdf form. Blogs are wonderful but they are read in reverse chronological order. I wanted a format to read what I wrote from beginning to end, not end to beginning. There are links to two versions of the pdf. The first is to be read on a computer or other device. The second is to print out to make a book. I designed it at the end of last year so that I could have a record for myself. I used three sheets of paper printed on both sides There is no separate cover. I designed it so that the paper was folded in half the long way (like a hot dog) to echo the long column arrangement of the blog. The pages are 11" high by 4.25" wide. If you should print a copy for yourself, page 1 backs up to page 2, page 3 to page 4, and page 5 to page 6. I share all of this because I hope you can benefit from my experience and more importantly, that you will take some time to think and write about your own work and your own journey. My writing does not start out with the words you read here. Much of what I publish on my blog has been edited and refined over multiple starts and stops. If I were only doing it for myself, I wouldn't work so hard at the language. My education is not in art but in writing and analysis (English Lit major) so this is part of my training and now part of my being. I say this to encourage you to spend some time writing about your work, in relation to both the work itself and the ways you get it out into the world and what your goals are for it. It's for you. You don't have to edit and refine it. Just get the words out. Sometimes you will find surprising things.